Members of the Westboro Baptist Church protest former Missouri Tiger and NFL draft prospect Michael Sam at the corner of Stadium Blvd. and Providence in Columbia. On Saturday, the Westboro Baptist Church came to the University of Missouri’s game against Tennessee to protest football player Michael Sam’s announcement earlier this week that he is gay. 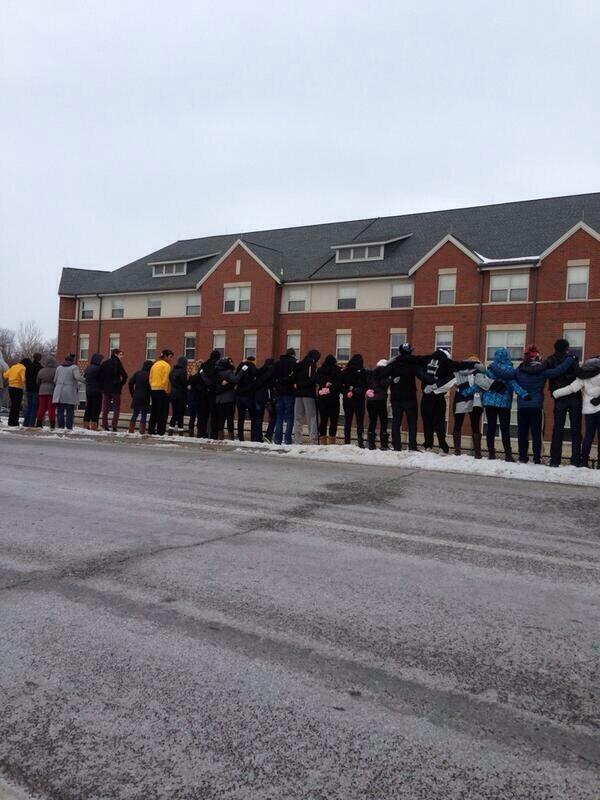 Students at the university, many of them wearing “Stand with Sam” pins, formed a human wall to block off the extremist group. It’s just one of many displays of support that the student body has shown for the SEC Defensive Player of the Year since his announcement last Sunday. Inside the basketball game, Sam showed his appreciation for the student section.